WE PROVIDE INNOVATIVE SOLUTIONS FOR THE POWER AND ENERGY INDUSTRY. Gemma Power Systems, LLC, a wholly owned subsidiary of Argan, Inc. (NYSE: AGX), is a leading Engineering, Procurement and Construction (EPC) company. Gemma is led by a renowned team of professionals, each with extensive experience in the development, design, construction, commissioning and operation of large-scale power projects. Our wide-ranging and comprehensive experience comprises more than 15 GW installed capacity including state-of-the-art combined cycle and simple cycle gas turbine plants, biomass projects, solar facilities, wind farms, biofuel plants and environmental facilities spanning the continental United States. 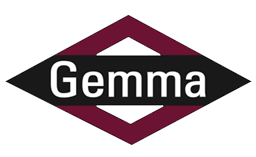 Gemma also provides operations and maintenance services for completed facilities.